Saturday’s UFC Fortaleza event is in the books, and now that the dust has settled in Brazil, it’s time to go to the scorecard to see who the big winners were at CFO Arena. 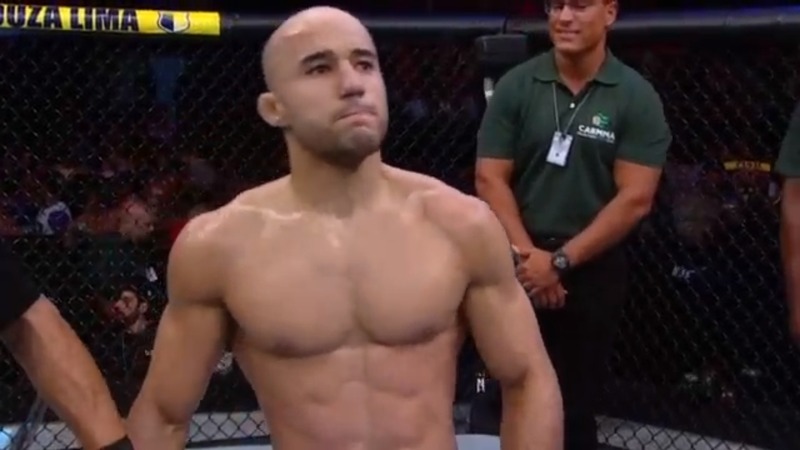 Despite a question mark over the bantamweight title picture given flyweight champion Henry Cejudo’s desire to face the man he just conquered, TJ Dillashaw, for the Californian’s 135-pound title, there is no question that the next shot at the belt should belong to Marlon Moraes. Already closing in on this spot after highlight reel knockouts of Aljamain Sterling and Jimmie Rivera, Moraes cemented his place with a submission of perennial contender Raphael Assuncao Saturday night. And pure merit aside, Moraes and Dillashaw make for one of the most interesting showdowns that could be made in the sport at the moment. 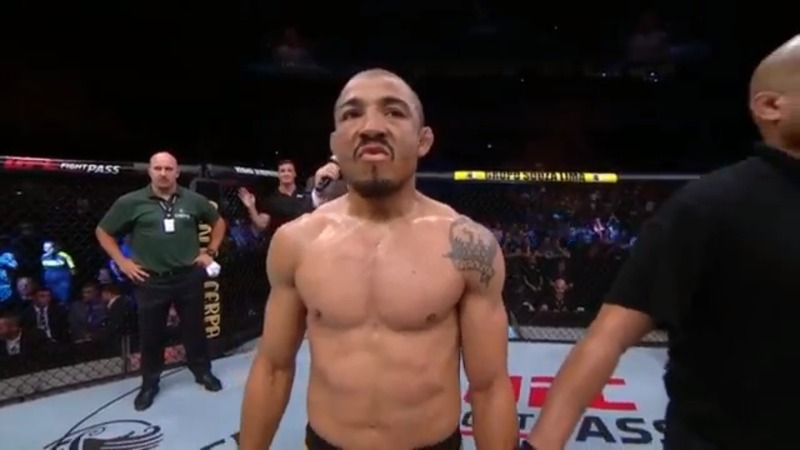 Watch Jose Aldo in the Octagon after his victory over Renato Moicano. Jose Aldo’s return to the win column against Jeremy Stephens last year was one of the feel good stories of 2018. Now after Aldo halted Renato Moicano in Fortaleza, we can start talking about the UFC’s first featherweight champ returning to the title race, despite him saying that this could be his last year of fighting. Sure, he did lose twice to champion Max Holloway, but if Aldo wins two more times this year, hey, stranger things have happened in this sport. This could have been a different conversation if Johnny Walker landed a soccer kick on a downed Justin Ledet Saturday night, but he didn’t, and instead, we are celebrating the continuing rise of one of Brazil’s top young exports. As I wrote before the fight, Walker has star written all over him, and after two ultra-quick knockouts to begin his UFC career, he is injecting a jolt of energy into a light heavyweight division that can always use some exciting new talents. Demian Maia is one of the good guys of the world. Not just of MMA or pro sports, but of the world. So when the 41-year-old snapped a three-fight losing streak with a dominant first-round submission win over Lyman Good, he deserved all the cheers he got. Can the pride of Sao Paulo make another run at welterweight gold? That remains to be seen, but for now, enjoy him while he’s here and let him enjoy a hard-earned victory.